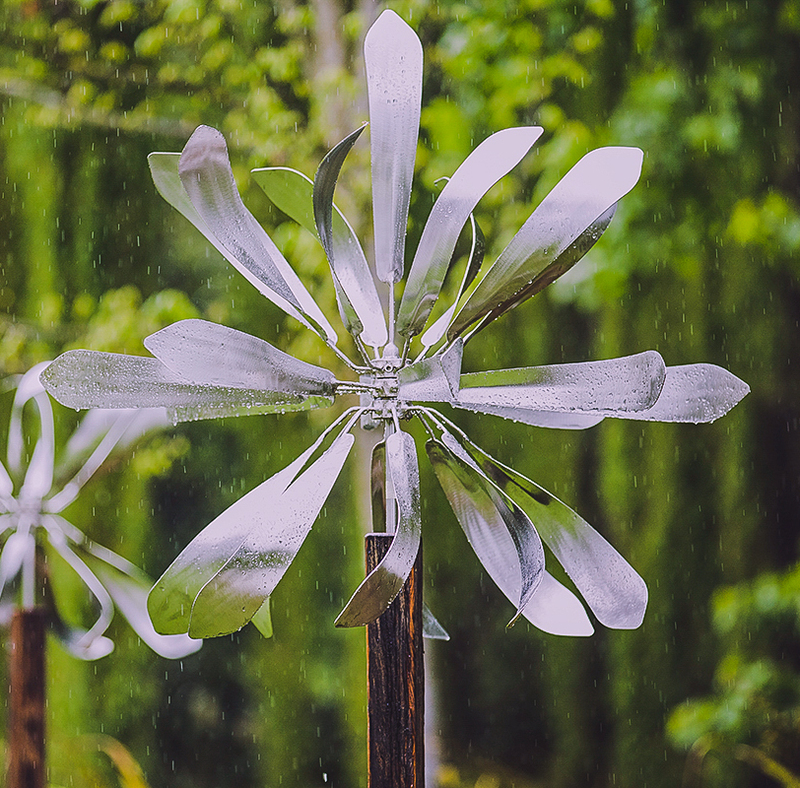 Russel's magnificent kinetic sculptures move in the wind. They are made from marine grade (316) stainless steel. 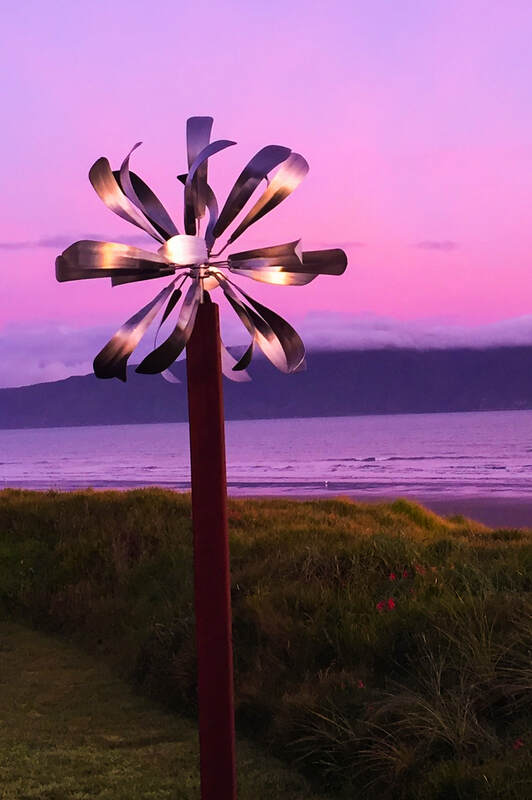 This magnificent kinetic sculpture is made from marine grade (316) stainless steel. It moves in the wind! The height may vary, due to slight differences in the lengths of the wooden posts. 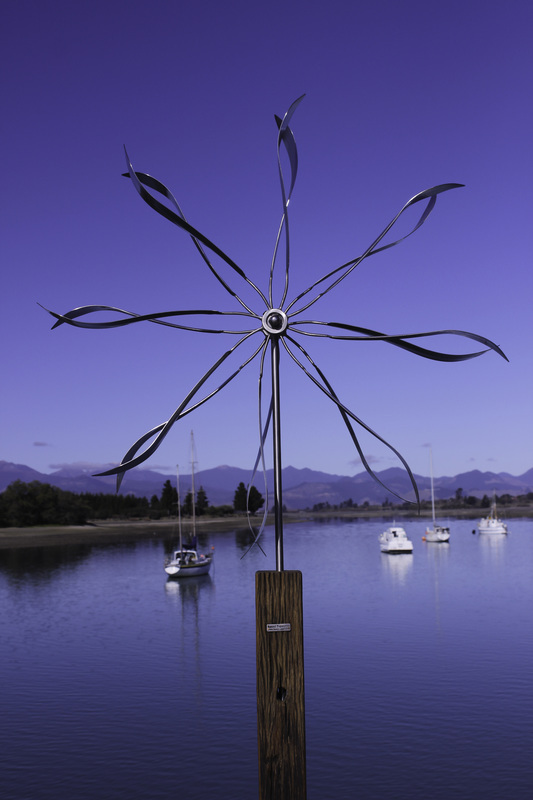 This is one of Russel's fantastic kinetic sculptures that moves in the wind. This eye catching, kinetic, sculpture is made from marine grade (316) stainless steel. It moves in the wind!